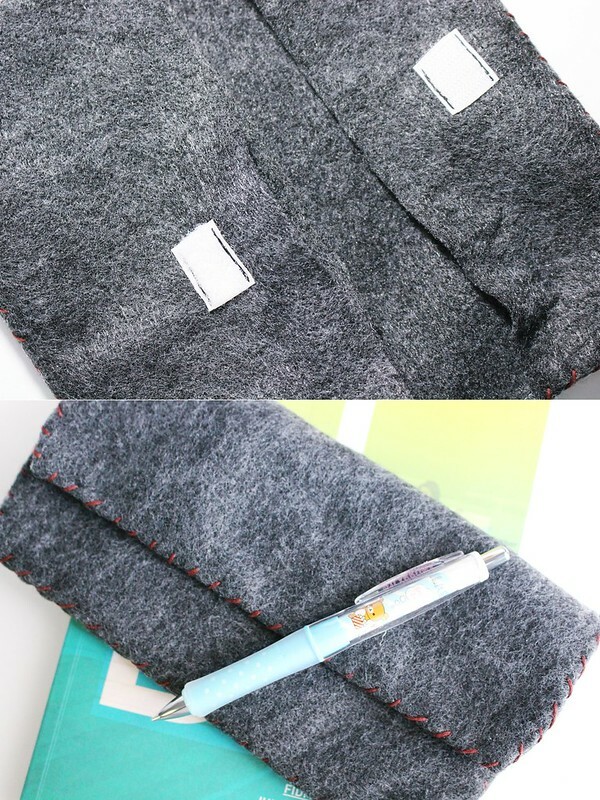 Since I’m preparing back to school, let’s prepare an essential (well at least for me) – a pencil case/bag. I’ve always enjoyed shopping for back to school stationary. I remember growing up, I fancied getting character pencil boxes and pencil cases. I’m a little old for those but making my own pencil bag seemed like a pretty good idea. 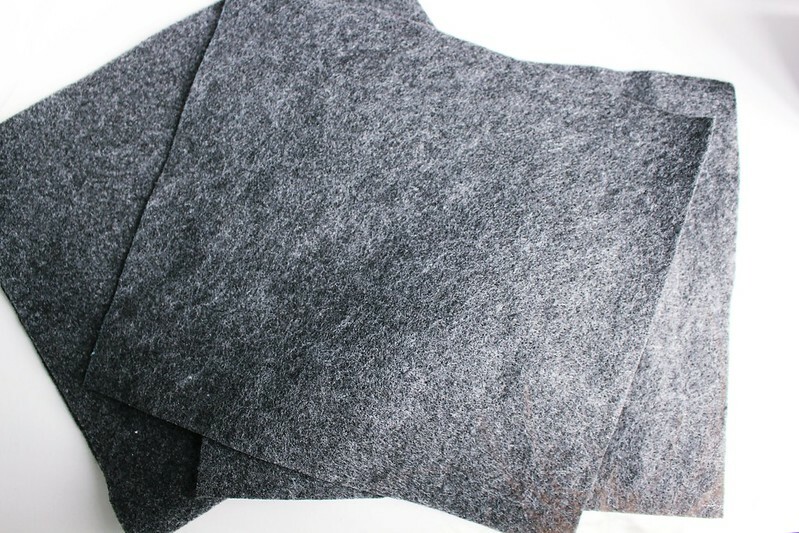 I cut my felt into (2) 8 x 9 inch pieces and (1) 15 x 9 inch. With the 2 pieces, I folded it in half the long way and sewed around it leaving the top open for a pocket. 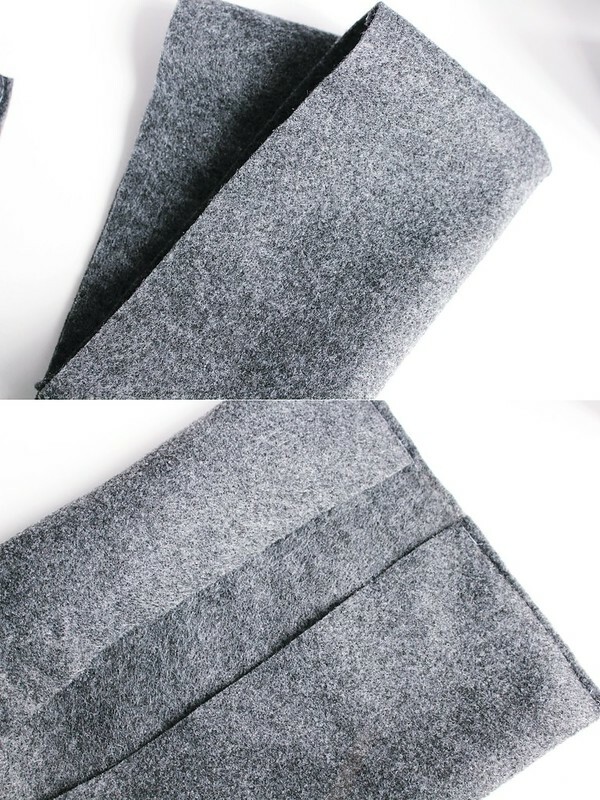 (You could also glue them or hand sew them if you don’t have a sewing machine). Then, I flipped it inside out. With the longer piece, I folded up the bottom to match the size of the other two and sewed it to create a pocket. 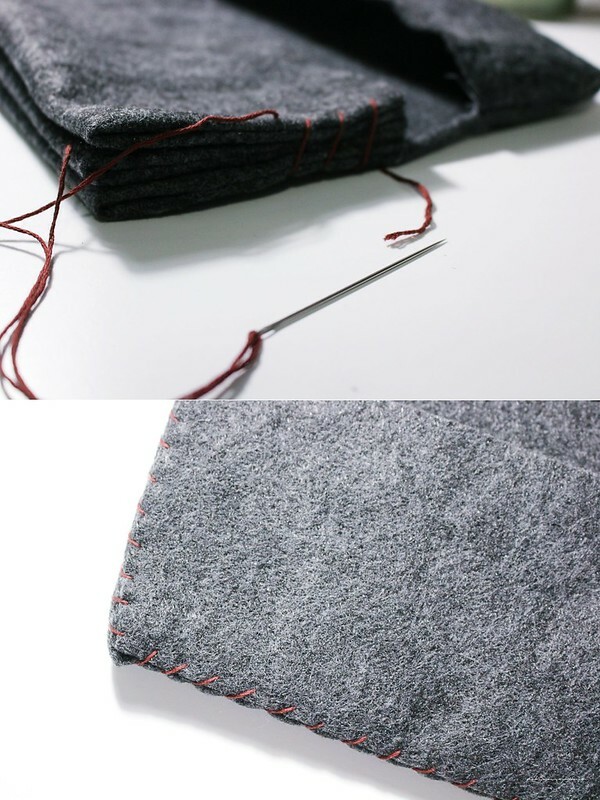 Then, folding down and sewing the top to create another pocket. Flip it inside out then stack them together. Once I stacked them together, I sewed them together with brown embroidery thread which could also be used as decoration. I forgot to do this earlier so I hand sewed the velcro onto the flap. Put in some cute pens and I’m ready for school LOL. What’s a must have in your back to school shopping list? have a similar case but for my hard disk, that I bought not made hehe! Looks so easy to make though! Hi Vicky! I absolutely love your blog! Happy to have found you! You are so creative and stylish! I love crafting too so following you will definitely be interesting!